The Universal Service & Access Agency of South Africa (Usaasa), the body responsible for issuing tenders for the manufacturing of up to 5m government-subsidised digital television set-top boxes, has lashed out at Democratic Alliance MP Marian Shinn for “casting aspersions” on one of the companies named as a preferred supplier of the boxes. On Tuesday, Shinn issued a statement in which she said she had “uncovered a press release from Chinese telecommunications giant Shenzhen Skyworth Digital stating that it has, through ‘its factory in Johannesburg — co-owned by local company BUA Africa — successfully completed its first shipment, delivering a total of 70 000 set-top boxes across South Africa’”. Shinn said BUA Africa is not one of the 26 South African companies awarded a share of the R4,3bn set-top box manufacturing and distribution tender managed by Usaasa. “While BUA Africa did attend the 2 December 2015 mandatory briefing for companies interested in tendering, the company’s name is absent from the panel of winning company names that was briefly posted on Usaasa’s website in April,” she said. “The set-top box manufacturing programme — developed to encourage new black-owned companies to get a foothold in South Africa’s electronic manufacturing industry and to create jobs — has been enveloped in rumours of corruption by politically connected individuals and enterprises almost since inception. It is widely accepted that many of the groupings formed to take advantage of the programme have scant manufacturing experience or the facilities to be viable set-top box producers in the long term,” Shinn said. “According to BUA Africa Investments company records, the company was registered on 20 May 2014, so could have submitted a tender in its own name before the deadline of 6 January 2015. One of its three directors, Thulani Ngesi, is deputy CEO of Microtronix Manufacturing. Namec Microtronix was the only company to have been awarded a share of all four categories of products comprising the tender. Namec Microtronix has no registered company details. Microtronix attended the mandatory December 2014 briefing. 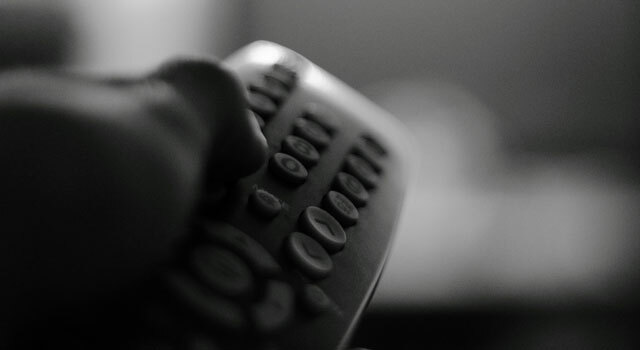 “It is time for government transparency via frequent communications on the progress of the set-top box order, manufacturing, beneficiary distribution and installation process,” she said. But Usaasa has hit back at the Shinn, saying it “finds it strange that this member of the telecoms & postal services portfolio committee, who has formed part of all portfolio committee sittings where the outcomes of the set-top box and antenna tenders were discussed, has taken it upon herself to cast malicious doubt on this above-the-board tender process with the sole intention of derailing the process of digital migration so as to open it up to those who were left out”. “The facts are: Namec Microtronix responded to a tender as published by Usaasa through national newspapers and the Government Gazette. Namec Microtronix subsequently, after being appointed in the panel of service providers to supply and deliver set-top boxes, submitted the name document through following CIPC (the Companies and Intellectual Properties Commission) regulations. The new name is BUA Africa. Once again, this information was provided to Shinn. “We are worried as the agency that there seem to be a malicious … effort by the same source to punch holes in a process that was clean, fair and objective. First she manufactured a story that ‘some’ possible tenderers did not see the tender because it was advertised during the holiday season — by this she was trying to derail our efforts to migrate this country — and now these lies. We see a behaviour from the same source where government is criticised for failure to migrate the country, but at the same time the same source looks for every excuse you can find to derail the migration. Next she is expected to run to the public protector. Everybody knows that there will be kickbacks and corruption in this deal. Its a standard thing when the cANCer gets involved. So then there is no hope for South Africa if by some miracle the da becomes the government because in your and their eyes everything done in the country is “kickbacks/corruption”. where is the proof instead of believing propaganda. Gov should just start digital migration without the sponsored set top boxes at R700 excluding antennae and installation. The private sector will sell SABS approved set top boxes at R100 to R200 per box. Browse Alibaba to see how cheap DVB-T2 boxes really are. Most poor people will buy cheap SABS approved set top boxes to watch all the new channels. Gov should do a census after two to three years before sponsoring expensive R700 set top boxes. Gov might find they only need 500,000 to 1,5 million and not 5 million. That is a huge saving of tax payers money. That might be good for the consumer but not so good for the economy and the people of South Africa. Importing from China hardly creates employment. Lack of employment means no customers. No customers means no one to buy cheap imported Chinese boxes. Bit of a viscous cycle. I acknowledge that the aspirations of the government are a bit flawed with this tender, (26 winning bidders? You must be joking) it is preferable to encourage responsible local manufacture. And some companies could compete with the Chinese if they we free to develop similarly specced boxes. Please show me the errors in my ways. Give me an example where we can truly say that the cANCer has not f@#$ed it up. You’re joking right? Nobody is that stupid. haha. These things were never going to be manufactured locally. At the very best there’ll be some low tech grunt assembly line jobs where they pack them in boxes, which means the entire “job creation” initiative comes down to putting 5 million decoders in boxes. Really lame. There are about 3 companies that already possess the equipment and skills to design and manufacture a box locally. One has been doing it for many years and received many accolades for innovative work in the past. The other 23 are all importers or assemblers. Power and telecommunications are most certainly not benchmarks to be proud of. They only highlight the opportunities that the ANC has missed in the past 20 years. Imagine where the country could be with abundant power to attract investors, and widespread, cheap, fast broadband to deliver information and services to the citizens. But what do we have? A power grid on the brink of collapse (according to Eskom) and a last mile telecoms infrastructure which is a joke. The power grid is far from collapsing and we have a great telecoms infrastructure and the fibre to the home will take care of the last mile. you just do not want to see all the great changes that have taken place since 1994. mistakes, of course but that happens everyday in the world. FTTH – the private sector kickstarted it, and is leading here. And this won’t help the lower income citizens for 10+ years… they’re the ones that need connectivity the most. FTTH is happening despite the government, not because of it. I’ve done a lot of cool things in the last 20 years, but just because it happened in this country doesn’t mean the ANC gets credit for it. So.. when you’;re finished arguing the point with Eskom, we’ll continue the discussion. The problem is, once those 23 start importing and assembling, the 3 will be hard pressed to compete. UEC is strong when you want great quality at a decent price, but not so much in the bargain basement segment. Which I think makes them a better company, not a worse one. You hit the nail, right on the head. Lets not choose sections of words and I have read ages ago what Eskom has said what could happen with a total blackout but they also said that this will not happen. FTTH is but part of the whole FTTX and you are far from correct about the private sector kick starting this. we (I worked for Telkom)provided fibre to the Buildings in the 90s. Besides it is for the private sector to roll this out as that is why Companies like Telkom has closed down most of their sections. Choose sections of words? I gave you the entire paragraph PLUS gave you the source. In fact, if you follow up and read, Eskom actually elaborates on the point and makes them look even worse. Yes, it will not happen… because they are load shedding… which they only have to do because of 20 years of failure. Or do you think we’re in this position because of the AMAZING job they’ve been doing? No power stations built for 15 years, and now we don’t have enough power… you don’t need to be a genius to connect the dots to see where the problem is. >provided fibre to the Buildings in the 90s. Yes, you were referring to “majority of the population” (safe to assume you’re talking of consumer broadband), and I commented on that. The private sector absolutely kickstarted this. Telkom is the laggard here, and also held back telecoms in ZA for a decade+ with their monopoly. As for telecoms in the 90’s … it would be better if you pretended that bit of our history didn’t exist… private sector were not allowed to compete against Telkom. Those are even darker days for the ANC’s telecoms failures. Or do you think Ivy and her friends did a great job?